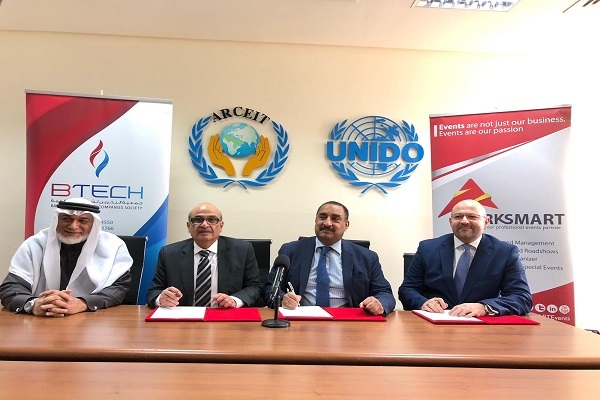 United Nations Industrial Development Organization (Unido) said it has signed an agreement with Bahrain Technology Companies Society (BTech) to sponsor and support local ICT companies that are taking part in the ninth edition of information and communication technology MEET ICT Conference & the Bahrain International Technology Exhibition (Bitex 2019). These events will be held under the patronage of Transportation and Telecommunications Minister Kamal bin Ahmed at the Gulf Hotel Bahrain from March 19 to 21. Through this agreement, Unido will continue to boost Bahrain leadership in entrepreneurship and innovation of ICT sector, it stated. Head of Unido-Bahrain Dr Hashim Hussain said: "We are pleased to work with emerging technology companies and business leaders of ICT sector to participate in the MEET ICT & Bitex 2019, giving them another chance to showcase their products and innovations, make business connections and empower them to exchange their knowledge and expertise through numerous activities derived by the upcoming events." The Enterprise Development Investment Promotion (EDIP) program and Bahrain Arab Model has been actively involved in the development of Bahraini ICT SME’s from idea generation to commercialization and growth. The program held regularly by UNIDO ITPO Bahrain through its Arab International Centre for Entrepreneurship and Investment (AICEI) has been instrumental in providing a wide range of pre-incubation, incubation, post-incubation and growth opportunities to support Techno-preneurs, it stated. BTech Chairman Ubaydli Ubaydli praised Unido's initiative to partner with the society for the 5th year in a row, to enhance MEET ICT & BITEX success, thus achieving common objectives of both parties. "MEET ICT is where Innovative and Adaptive Digital Transformation happen. It aims to educate and raise awareness for the latest introductions in Technology such as blockChain, cybersecurity, IOT to ensure that our ICT industry is as robust as any other ICT industry in the world, if not better," he noted. "Bahrain has the potential of becoming the ICT hub of the region; and we are determined to work towards achieving that goal through innovation and adaptability to change in Technology," he added.